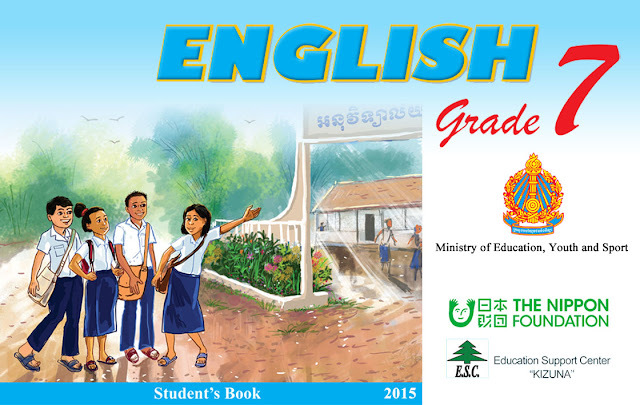 This English textbook Grade 7 has been produced through funding by The Nippon Foundation. The project members consist of the Australian Center for Education as the writing team, three English trainers at RTTC Phnom Penh as the editing team, the Ministry of Education Youth and Sport as the advisor, the Education Support Center “KIZUNA” as the organizer, and Professor Stephen Bax of CRELLA, UK, as the leader of the project. With interesting characters and storyline, imaginative pictures and photos in the context of Cambodian lifestyle and culture, this textbook aims to be attractive and motivating for young students. It is carefully set at a level for Cambodian students both in rural and urban areas. The contents of the textbook have been created in line with the syllabus prepared by the Ministry of Education Youth and Sport, and set at the A1 level of the Common European Framework of Reference (CEFR). A mixture of the four skills of listening, speaking, reading and writing is included with a slight emphasis on oral and aural skills so that students can improve and strengthen their oral communication ability. The accompanied tapescripts will help the students to improve listening, speaking and pronunciation skills without much effort and difficulty. We hope that this English textbook in combination with its supplement “English is Fun”, which focuses on the two skills of listening and speaking, will prove to be highly relevant, motivating and effective for teachers and students throughout Cambodia. It is also our hope that this textbook gives all students the chance to participate in creating a bright future.